Surrey dismissed MCC for 265 on the first day of their four-day Champion County match in Dubai. MCC were making steady progress on 193-3 during the afternoon session, with Dan Lawrence of Essex making 58. However, spinners Scott Borthwick (2-55) and Freddie van den Bergh (3-54) dragged Surrey back into contention. Surrey's England openers Mark Stoneman and Rory Burns guided the reigning county champions to 20-0 at the close, leaving them 245 runs behind. Paceman Conor McKerr (3-40) had taken took the first two MCC wickets to fall, including Tom Westley, who was bowled without scoring. 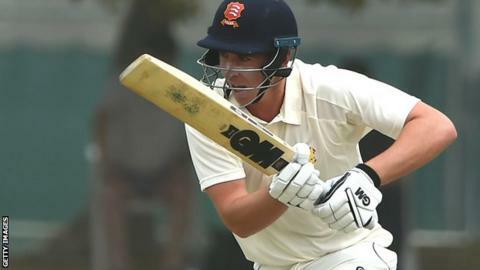 Essex batsman Westley is one of three players capped by England at Test level in the MCC side, the others being Somerset all-rounder Dom Bess and Nottinghamshire seamer Stuart Broad, who is captaining the team in the traditional curtain-raiser for the English domestic first-class season. Surrey won their first County Championship title for 16 years in 2018 and begin the defence of their crown against Essex on 11 April. The season gets under way six days earlier, with three matches apiece in Divisions One and Two. "It's a tough wicket for the bowlers and we had to toil away hard, but as a bowling unit we stuck at the task very well. "If you bowl dots and be disciplined, hopefully you'll get your rewards and luckily we got 10 wickets today. "It was very pleasing on a personal note that I could get a long bowl, get in a good rhythm and stick at the task at hand. It was very pleasing to get those three wickets and do a job for the team."